Welcome to our passion! We have been thoroughly enjoying the "alpaca lifestyle" since 2012. We simply cannot imagine our lives without these animals! There is nothing quite like cria season! The arrival of a long awaited, carefully engineered 20 lb bundle of joy. Or having your morning cup of coffee while watching the herd out for their early morning graze. Quite possibly the most endearing of all livestock. In general, they are quite easy to raise. They are herding animals, and will not survive alone, as has been well documented. They have luxurious fleece, requiring annual shearing. They typically love children, are quite gentle, easy keepers, and just watching the dams care for their crias, and watching the rest of the herd welcome a newborn into the herd are very heartwarming sights. There are many reasons to raise them, including breeding stock, investment opportunities, tax implications, fiber, companions, therapy animals, hobby farms, pets, meat, and more. Grateful is the word that comes to mind when I think about all of the folks we have met in this industry. We feel extremely blessed for these blossoming relationships. In general, we have found nearly everyone to be very helpful, willing to share their knowledge and their stories. Getting to know people, as well as their breeding philosophies is both enjoyable and vital to our own success. Taking time to visit other farms, discussing their breeding program, looking closely at their animals, listening to their successes and failures is time well spent for the serious breeder. 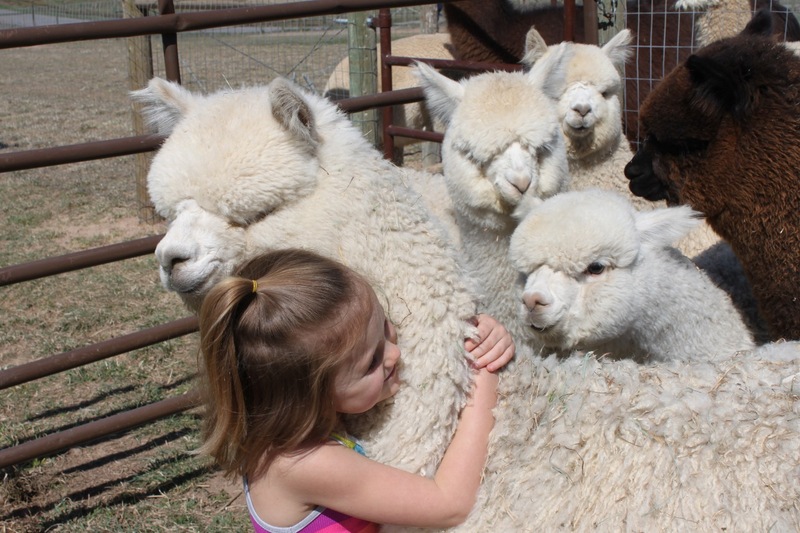 Alpacas are shown primarily when in full fleece. The show season begins in late fall, and goes right up until shearing season. There are numerous shows across the country, although they have been consolidating in recent years. The show system is a vital part of our industry, in my opinion. Promoting your animals, and bench marking your breeding to program against those of your peers has value that is often underestimated. This is the best venue to network with other breeders. To look at what is winning. And, if you're not winning the color championships, it is a great way to measure your animals against those that are. To determine whether you are gaining ground, or spinning your wheels, no pun intended. Shows are classified into levels, based on the number of exhibited animals and fleeces. Level V is the largest classification, and therefore placing in a level V show typically carries more credibility than say a Level II show, even though all of the shows wind up being extremely competitive. I realized a few years ago that I was suffering from career burnout, and was seeking something more rewarding, as well as something that was intellectually challenging. We quickly learned of the show system, which we enthusiastically participate in. As a bonus, this has provided the competitive aspect that my life was missing as well. Today, I look back on the past few years and realize that alpacas have greatly enriched our lives, and have fulfilled everything I was seeking and more. Suffice it to say that going from a startup breeder to one that is highly competitive in the show ring takes some time, investment, determination and patience. The animals are improving at such a rapid rate, that the judges comment frequently that placing the animals gets more and more difficult every year. So, if you're trying to close the gap between yourself and the top breeders, keep in mind that their animals are continually improving as well. Therein lies the challenge! I would like to address one common complaint that I hear at the shows, and that is that small breeders simply cannot compete with the folks that have so many more animals to choose from, and deeper pockets. To this, I say HOGWASH! Granted, there are some advantages to having larger herds and deep pockets, but this industry desperately needs those breeders that are willing to invest in genetics that will continue to move their programs forward. If it were easy to walk away with a purple banner, it wouldn't be worth winning. I contend that if you have 8-12 excellent foundation females, and are making wise choices for who to pair them with, you will be producing some outstanding progeny every year, enough to be taken seriously by all alpaca breeders. I think that everyone has their own theory on this, so I will share mine with you now. I believe that the current lag in the industry is something that was necessary to flush out some of the excess as well as those looking to get rich quick, and has provided an eye opening opportunity for those of us that aren't going anywhere, to acquire some top genetics at heavily discounted prices. This is still a relatively new industry in the US, and has experienced some growing pains over the past decade. Let's be honest, the early days were simply not sustainable. However, I anticipate the industry to move towards more proven livestock models, resulting in a strengthening over the next several years. Like anything else, making money in this business takes work and commitment. It's is going to take a well thought out business plan, investment and time. This is no longer a get rich quick type of business. There has been a lot of bad publicity in this industry, primarily because people either didn't do their homework, or were unwilling to treat it like a business and do what it took to be successful. For the most part, those folks are long gone. 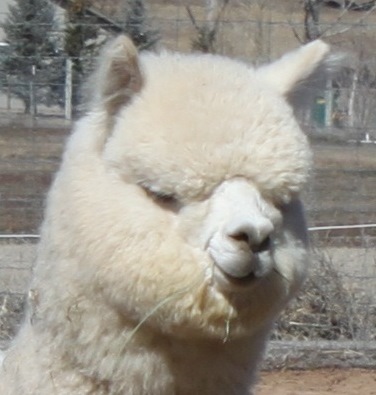 I believe there is money to be made in the alpaca business, but not everyone will figure out how to make it. Take that for whatever it's worth. New industry leaders are developing right now. Will you be one of them? It's hard to imagine a more enjoyable lifestyle. It's really pretty difficult not to be enamored with these critters. The work does not seem like work, and cria season alone makes it all worthwhile. Raising alpacas has become a true passion for us, basically an obsession for me. My mind is never far from the feeling I get by parting a fleece with an eye popping degree of architecture. I'm addicted to finding animals that have it all: fineness, uniformity of micron, density, brightness, exquisite crimp and hand, all culminating in a thing of rare beauty! I foresee Kim and I continuing this venture well into our twilight years! Thank you for reading this. Also, I would like to take this opportunity to invite you to pick up your phone and call me if you ever just want to talk about alpacas. Cory Wesson (970) 618-6435. Copyright © 2016 Sopris Alpaca Farm. All Rights Reserved.